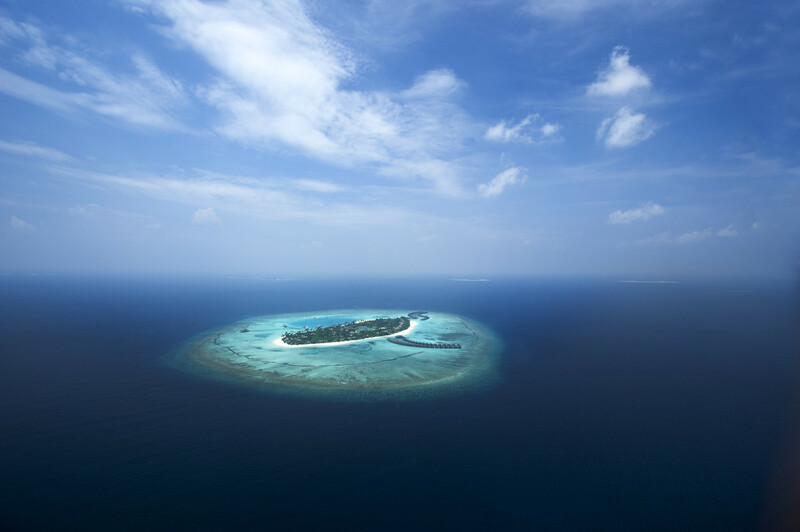 Soak up the stunning 52-acre island, revel in the luxury of the traditional Maldivian villas, indulge in mouth-watering cuisine across 11 restaurants and experience a diverse array of leisure activities that will see you speeding across the ocean’s surface and delving beneath its depths. Strolling at sunrise along the water’s edge, the sky blushing deep rose. Laying in the shallows as you bask in the pure sunlight, waves gently caressing your skin. The feeling that life was always meant to be like this – savouring every moment. 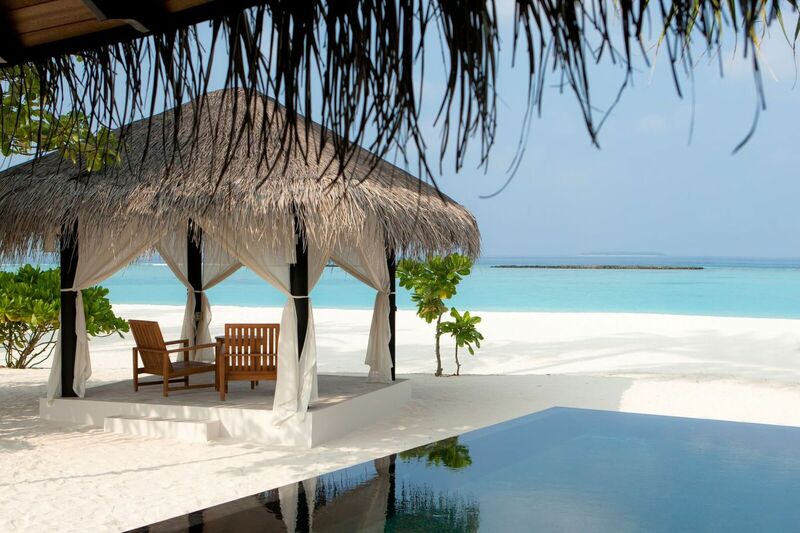 Shaded havens open onto pristine stretches of powdery beach, the lagoon and its delights await you. 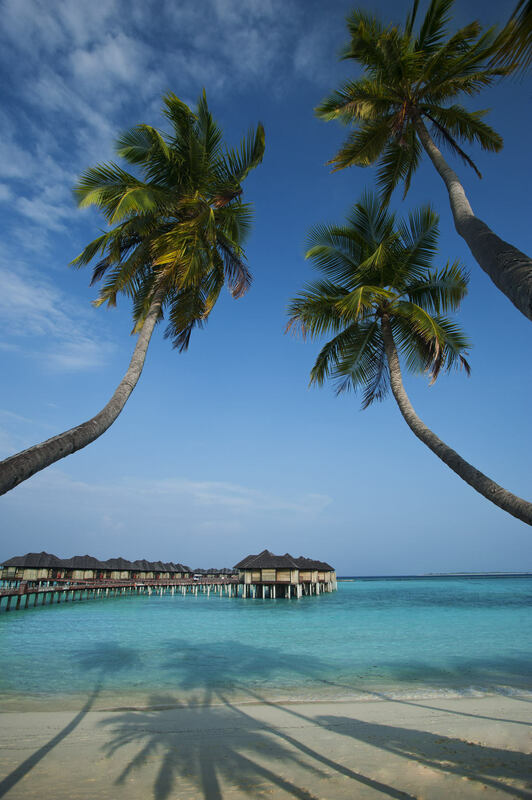 With only a handful of resorts in the entire atoll, which only relatively recently opened up to tourists, it’s a haven of tranquillity with unspoilt coral reefs and dive spots, including Orimas Thila. 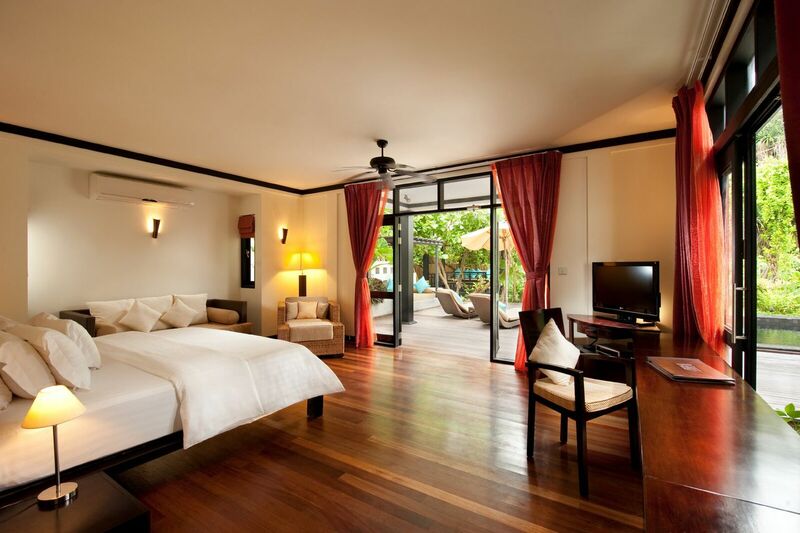 Our thatched Beach Villas provide modern, spacious accommodation for up to 4 people. With their own private terrace and gorgeous views over the beach, our Beach Villas combine modern technology and luxury treatment in the perfect setting to give you a taste of paradise. 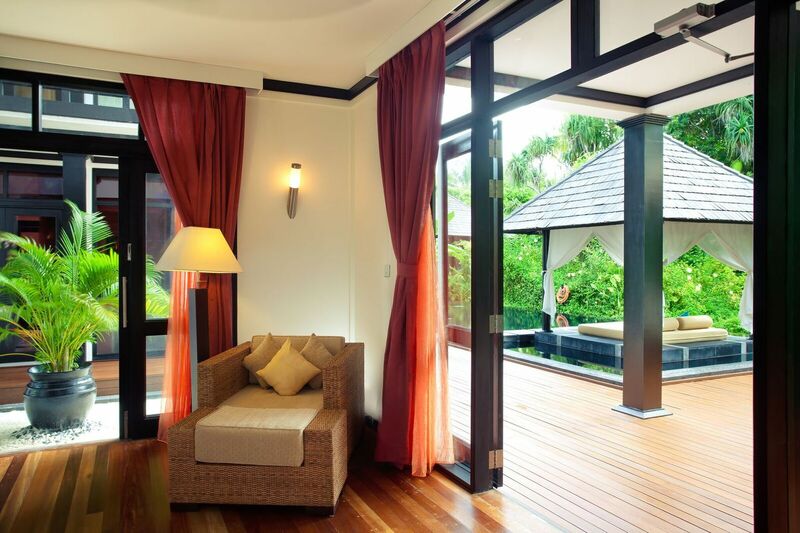 Step out from your bedroom to your private covered terrace and admire the views over the beach. Featuring 01 king size bed and room for an additional 02 beds, this accommodation can host up to 3 adults and 1 child or 2 adults and 2 children. 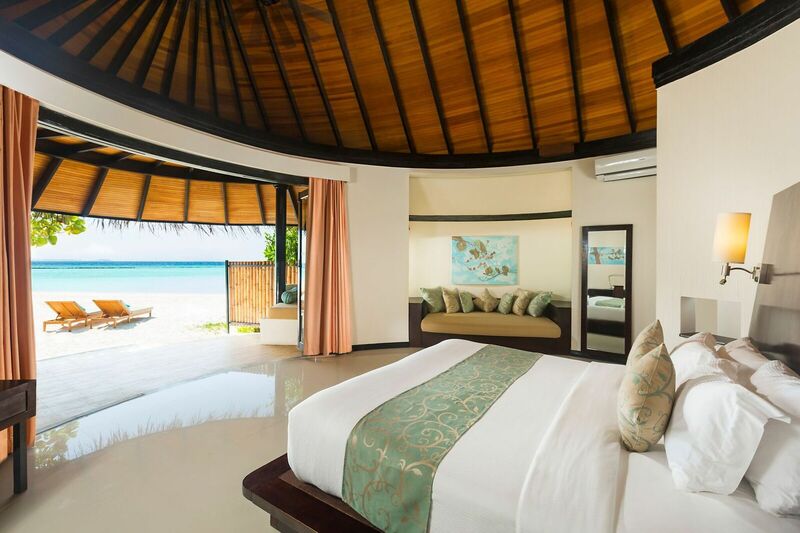 Our Deluxe Beach Villas come with an outdoor cabana, private terrace and day bed to while away the days in the gorgeous tropical weather. Wake up each morning to views over the Indian Ocean and step outside onto your private terrace to enjoy the first-morning sun. These properties come with 01 king size bedrooms and space for 01 additional bed. Indulge in luxury accommodation with a difference by making the most of your private open air bathroom with i-spa bathtub. 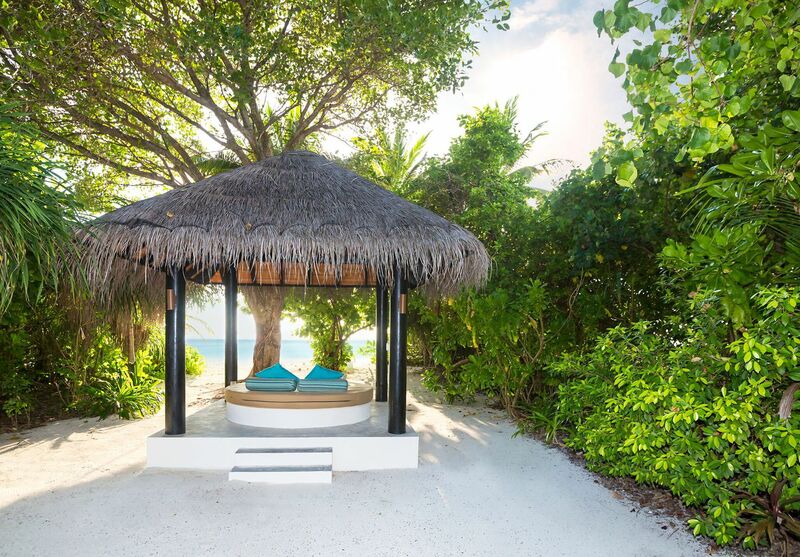 We want to help you make the most of your luxury holiday in the Maldives with a few extra touches: private outdoor gazebo, day bed, and private pool. 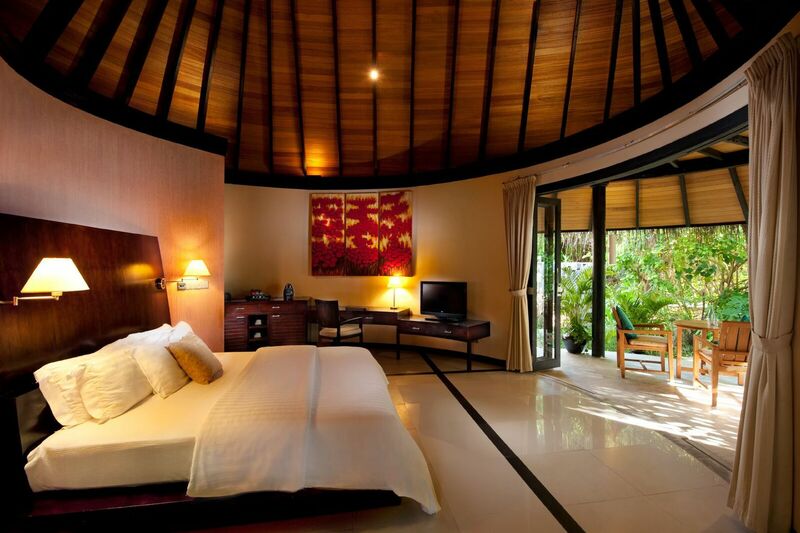 Welcome to the perfect luxury family accommodation in the Maldives. Accommodating up to 4 adults and 1 child or 2 adults and 3 children, this is the ideal base for your family holiday. 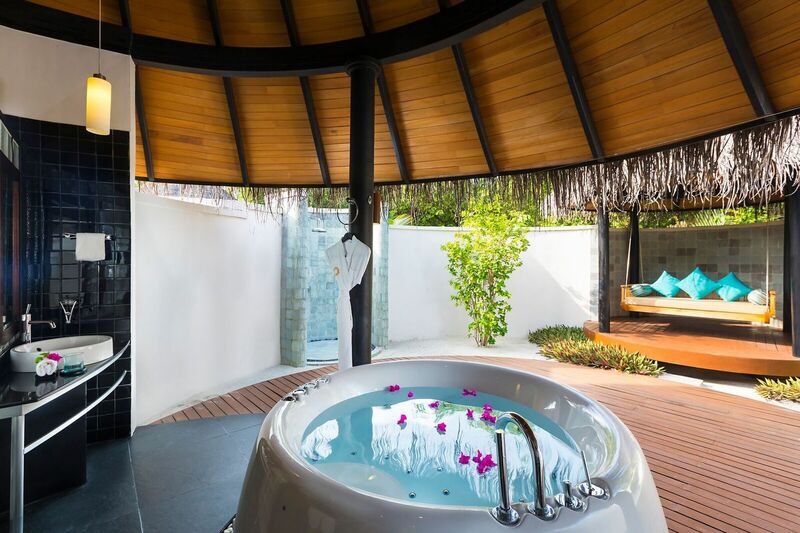 These villas come with a private open-air bathroom so you can enjoy the beautiful views and warm Maldivian air as you take a soak after a long day. Watch the sunset from your private courtyard and gather your family together for breakfast with views over the beach or our gardens. 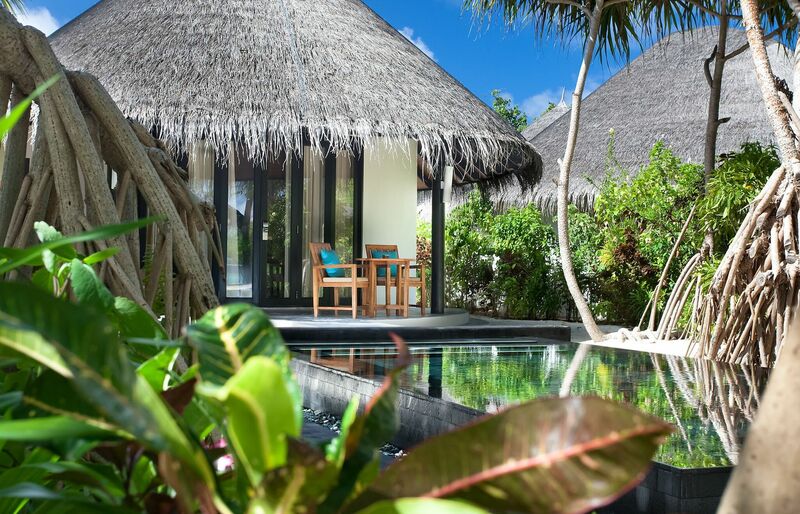 Your private courtyard also features a black lava stone pool, sitting room, and day bed so you don’t even need to leave your villa to experience the luxuries of the Maldives. 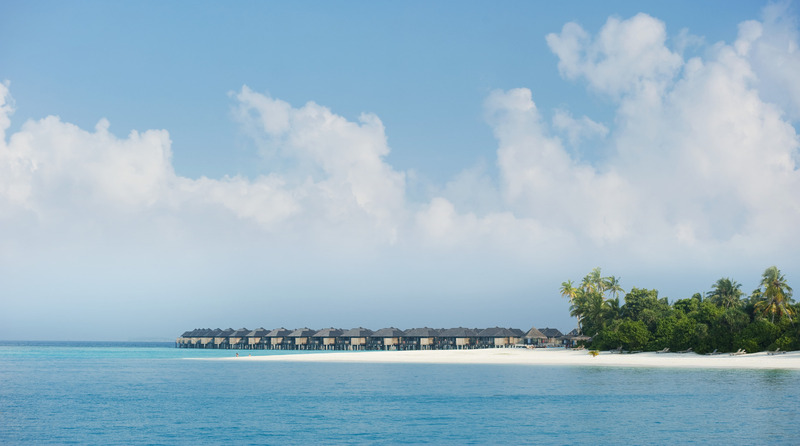 Situated above the island’s lagoon, our Water Villas provide the perfect Maldives experience. 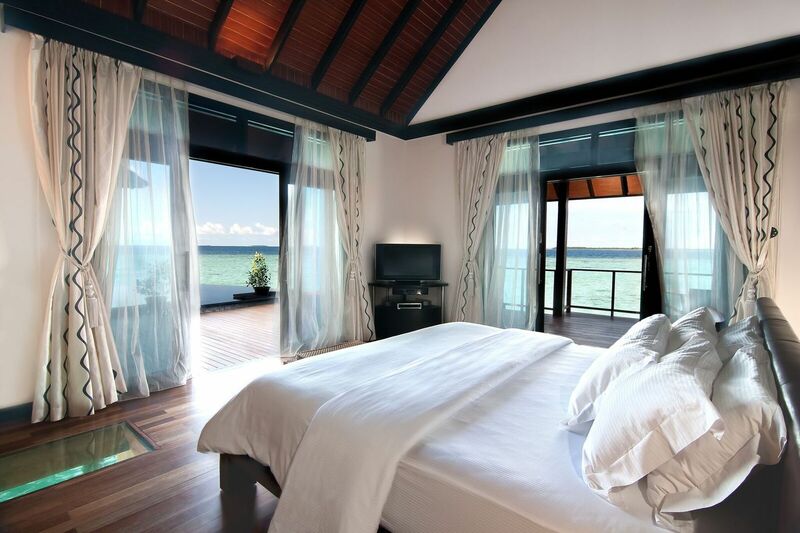 Wake up each morning to view across the water and end each day on your private sun deck as you watch the sunset. 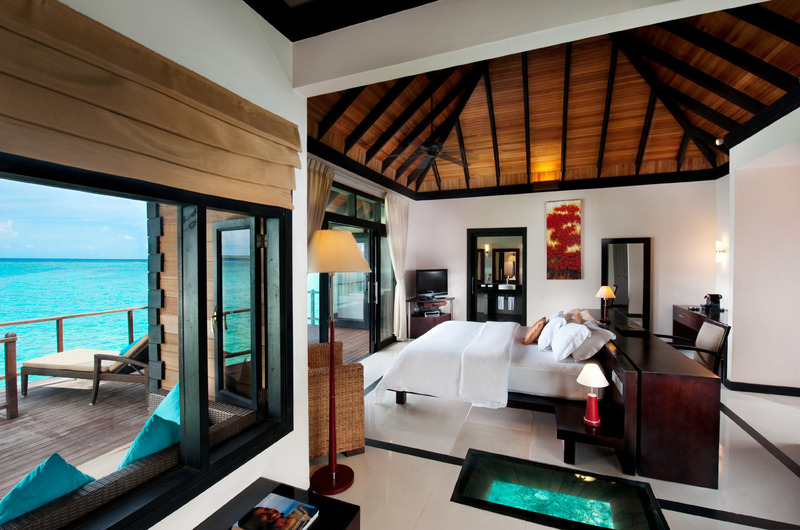 Our Water Villas can host a maximum of 3 adults and 1 child or 2 adults and 2 children. 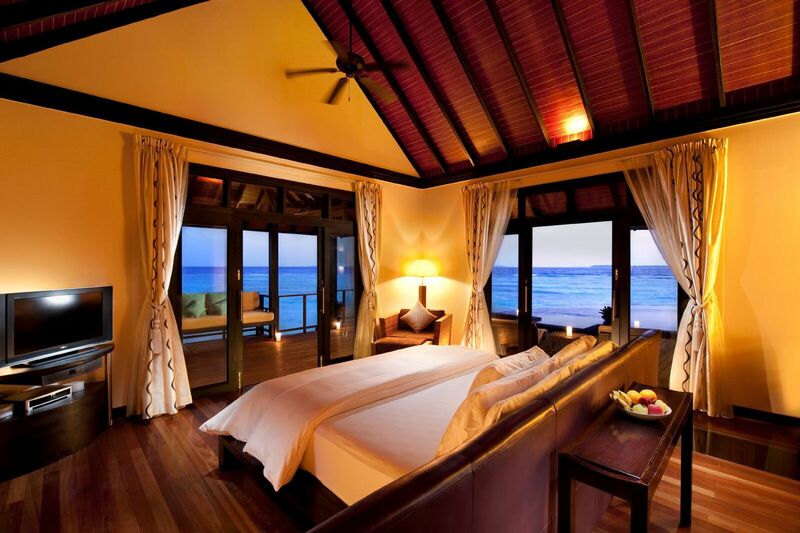 It’s the perfect villa for an amazing romantic holiday or honeymoon in the Maldives. The property features 01 king size bedroom with a private bathroom and there is space for 02 additional beds. 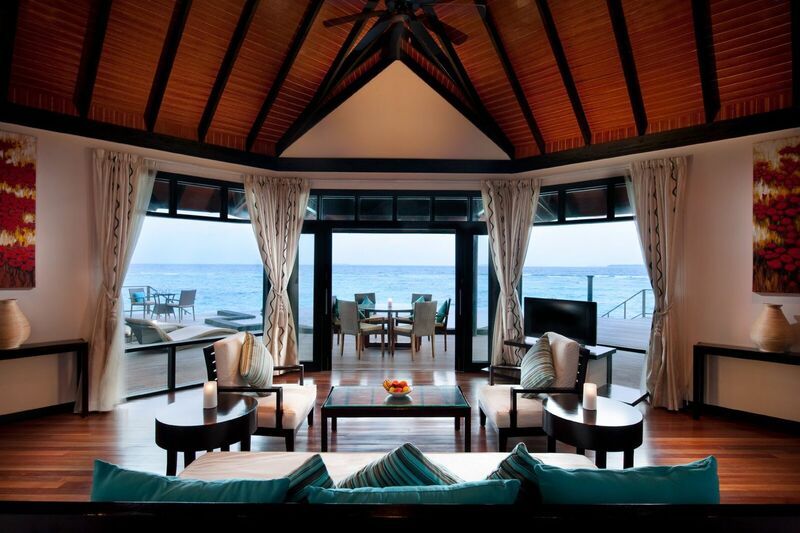 Much like our standard Water Villas, these properties are the ideal luxury romantic accommodation in the Maldives and are also perfect for groups of friends or family. 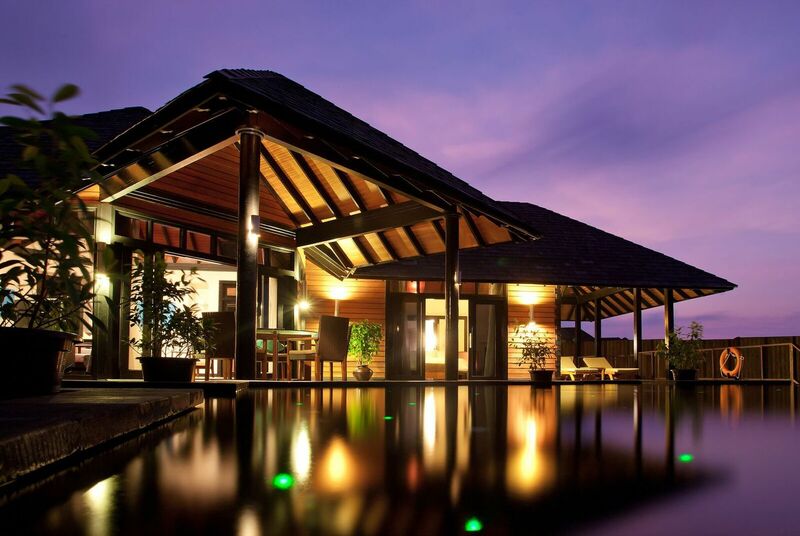 These villas can house up to 3 adults and 1 child or 2 adults and 2 children. 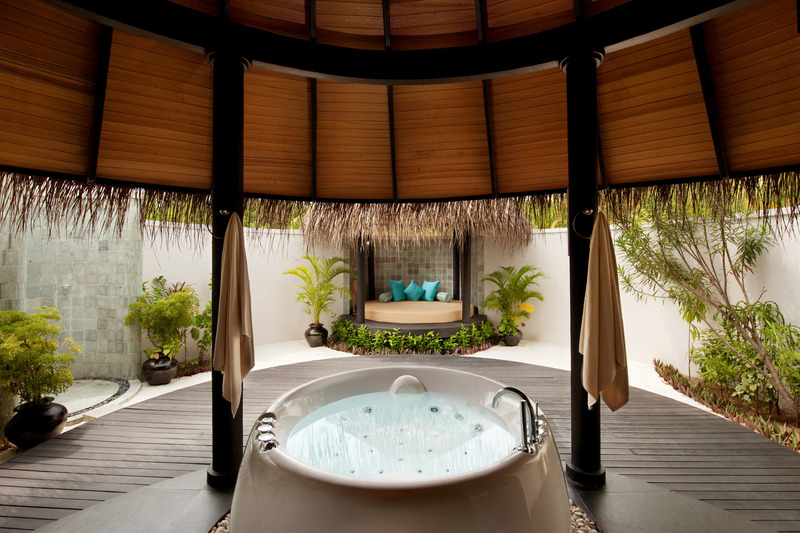 Make the most of your time in the Maldives and relax on your private outdoor deck in your Jacuzzi. Watch the sun set over the sea from your private outdoor deck – why not add an extra touch of indulgence and watch it from your Jacuzzi with a glass of champagne? 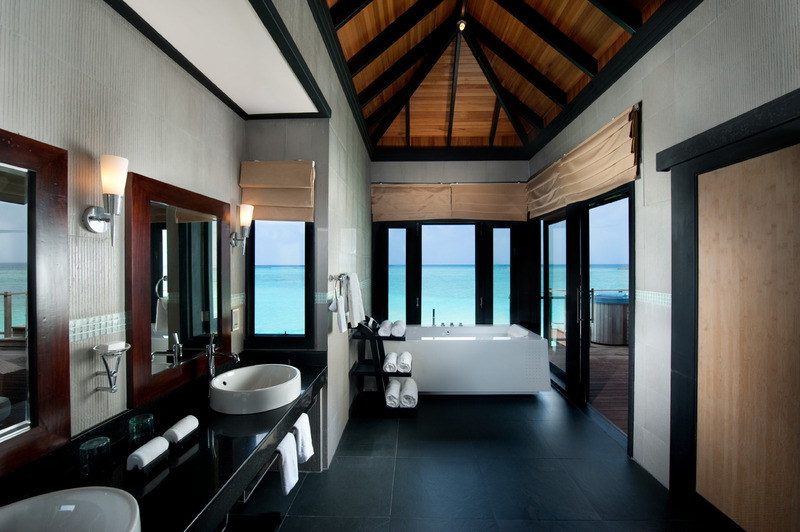 Our 5 star villas in the Maldives offer beautiful views over the island’s lagoon and the sea beyond. They can accommodate up to 3 adults and 1 child, or 2 adults and 2 children. 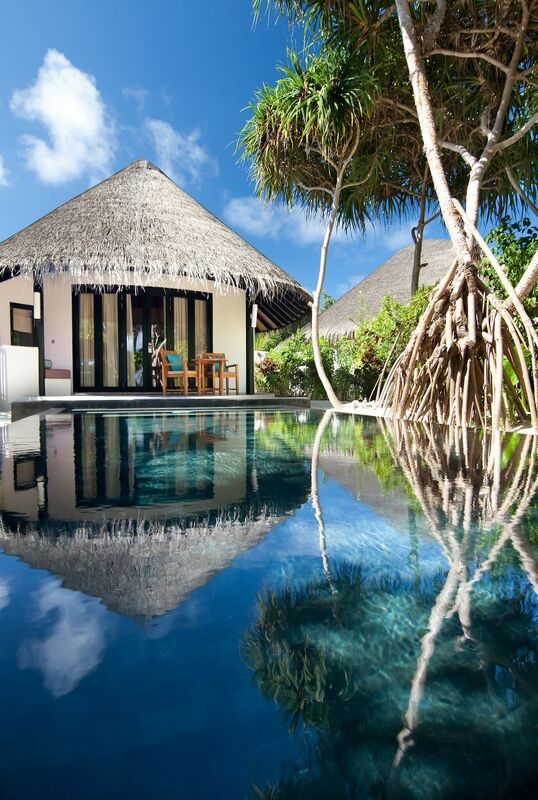 They’re the ideal villas for an intimate vacation in the Maldives. 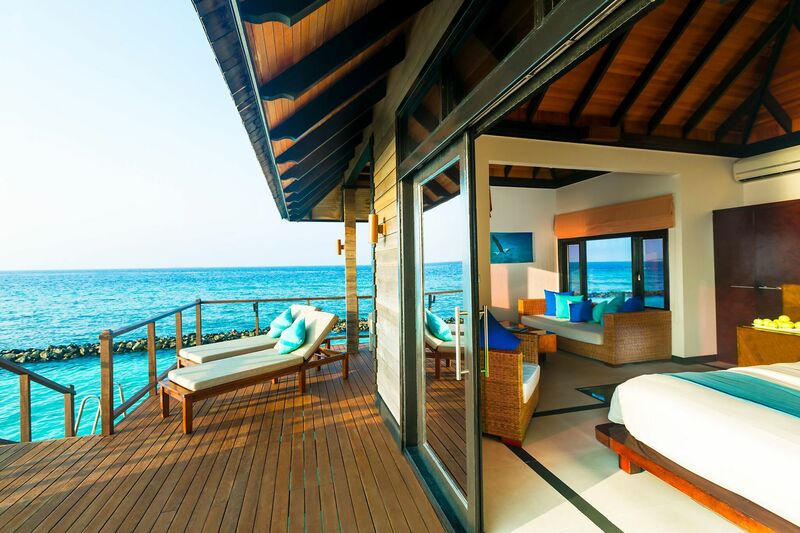 Stay in one of our 5 Infinity Water Villas and indulge in spacious luxury accommodation in the heart of the Maldives with your loved one, friends or family. 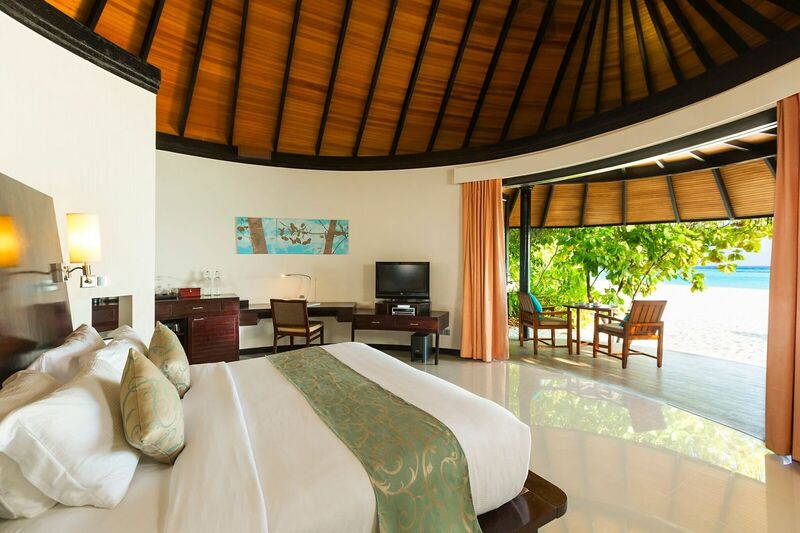 Featuring 01 master bedroom with king size bed and space for up to 02 additional beds, these spacious suites are perfect for honeymoon stays and family holidays in the Maldives. They can accommodate up to 4 adults and 1 child, or 2 adults and 3 children, and feature a private outdoor deck with a lava stone pool, cabana, and outdoor dining area. Recline and relax in luxury as you escape to paradise. Indulge in the ultimate VIP treatment in our 5 star luxury accommodation for up to 10 people. With two storeys, our Celebrity Retreat is here to make your holiday in the Maldives as comfortable and luxurious as possible. Enjoy the use of 03 king size bedrooms, 03 ensuite bathrooms, a lounge, billiards rooms, kitchenette, and outdoor dining pavilion. 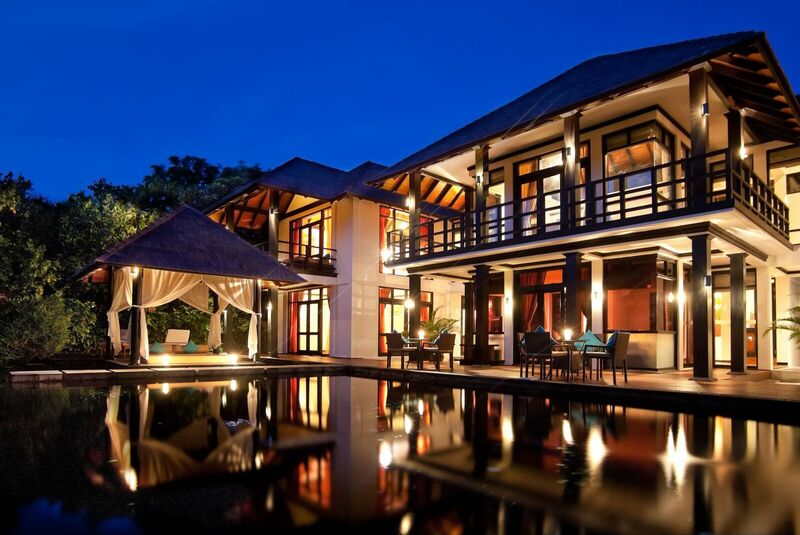 This property also features a private spa room, sun deck, and 24/7 butler service for the true celebrity treatment. 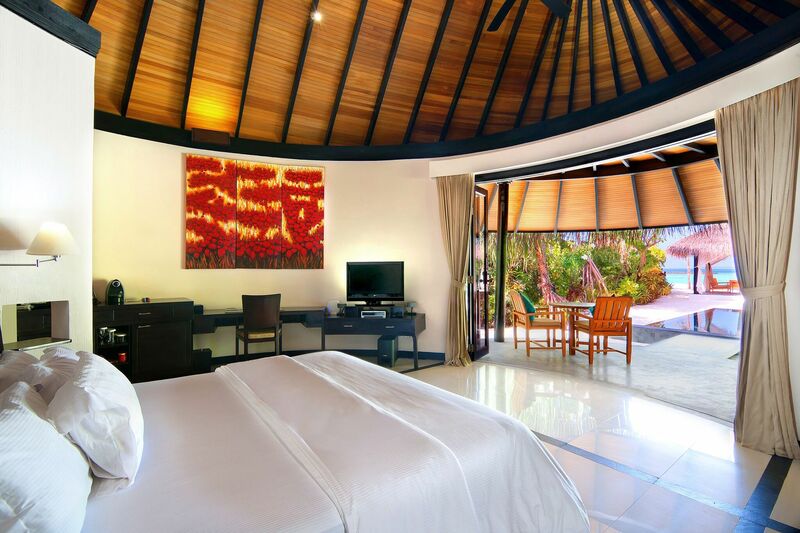 This is our largest accommodation and is perfect for groups of friends or for a luxury family holiday in the Maldives. 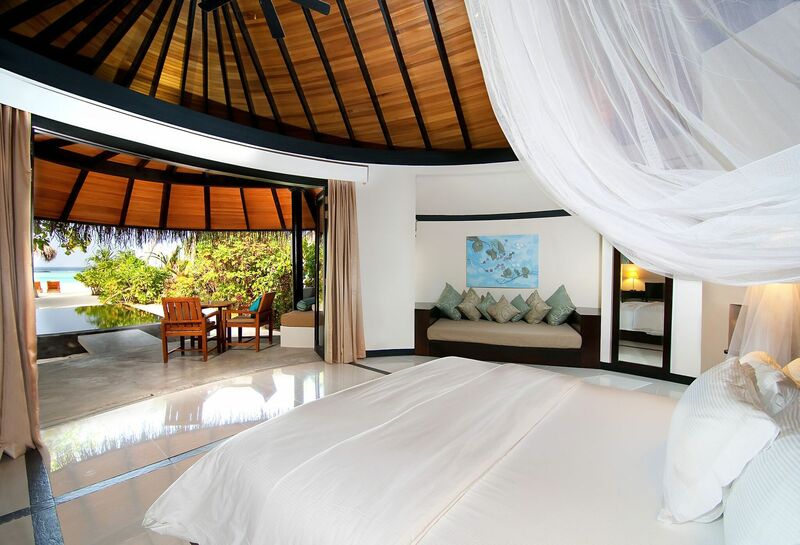 Discover one of a kind luxury accommodation in the Maldives. Our over water Aqua Retreat features 02 king size bedrooms, a separate living area and kitchenette, and your very own private infinity pool. 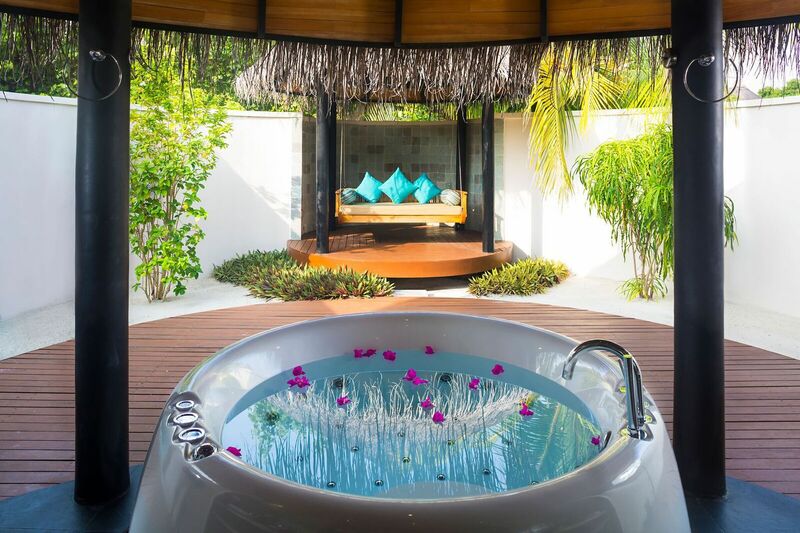 One of our favourite features of this retreat is the glass panel floor and of course the private Jacuzzi. 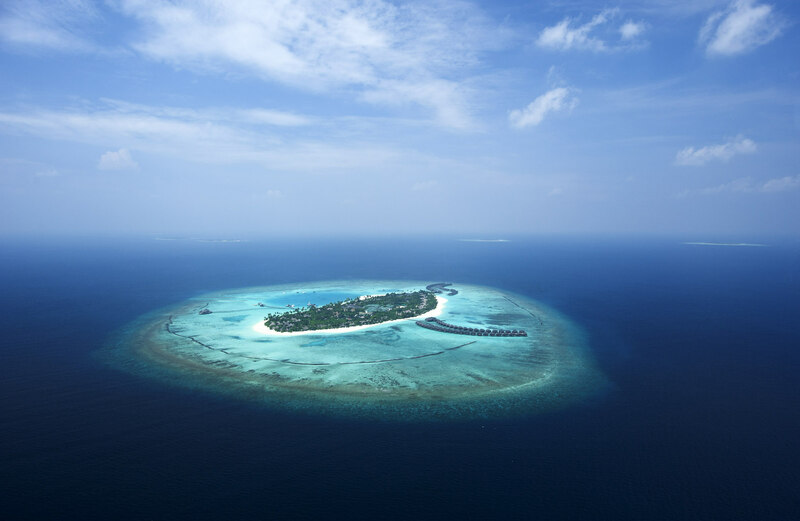 For a truly indulgent stay, these retreats can accommodate up to 6 guests (adults or children) and come with 24/7 butler service so you can spend your holiday in the Maldives exploring, indulging, or simply relaxing in your 5 star accommodation. It is the ideal accommodation for groups of friends or family. 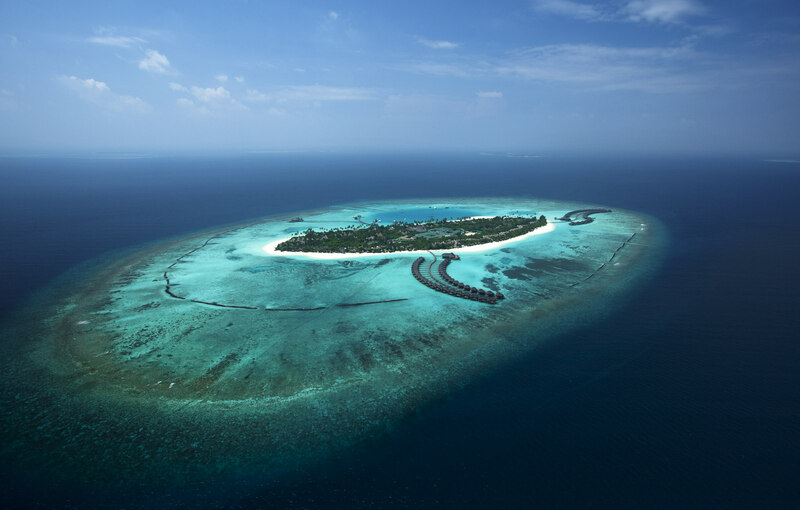 Our 5 star Hidden Retreat accommodation is perfect for a luxury family or group holiday in the Maldives. 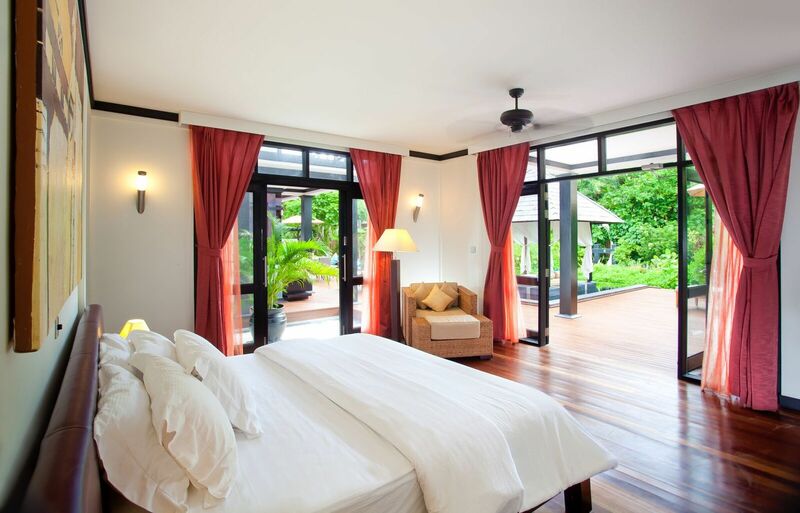 This retreat features 02 king size bedrooms, 02 luxurious en-suite bathrooms with rain showers, i-spa bathing, and a private swimming pool and sun deck. Enjoy privacy, luxury, and VIP treatment with a 24/7 butler service and use of your own separate living area and kitchen. 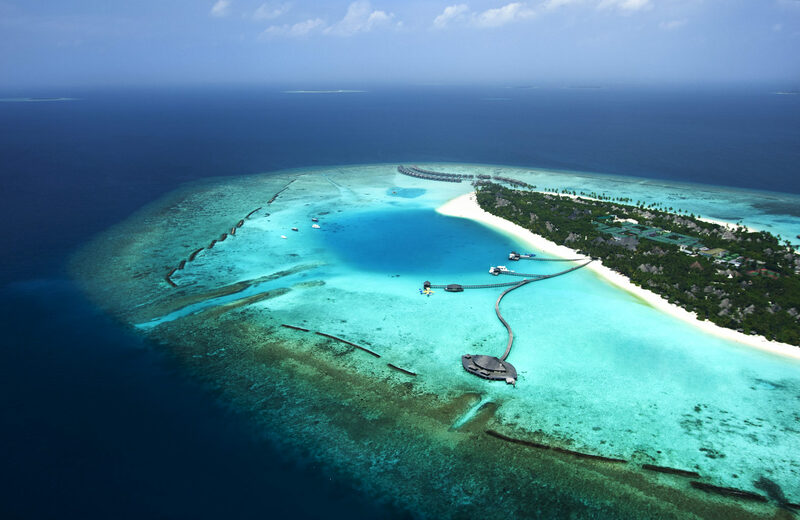 Whether you want to relax in the sun with a book or enjoy some quiet time with dinner delivered to your door, these retreats are some of the best luxury accommodation in the Maldives. 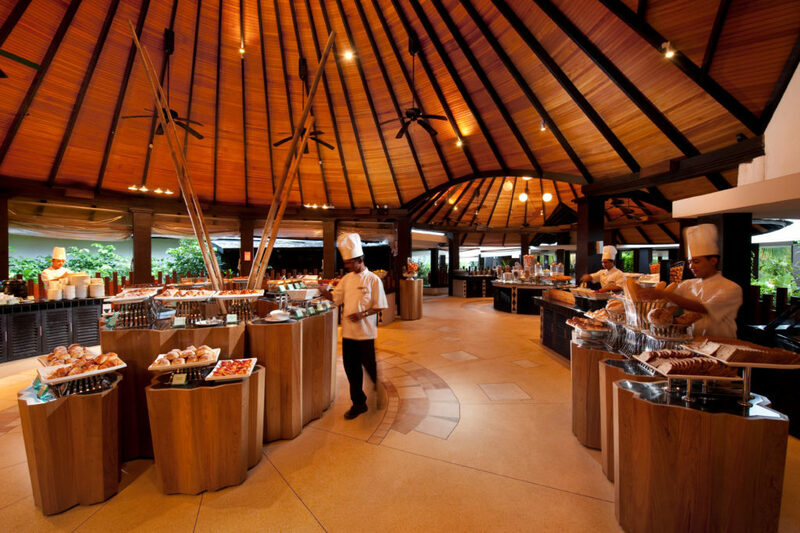 This unique venue serves a hearty breakfast as well as a buffet of global dishes from live cooking stations in the evening. 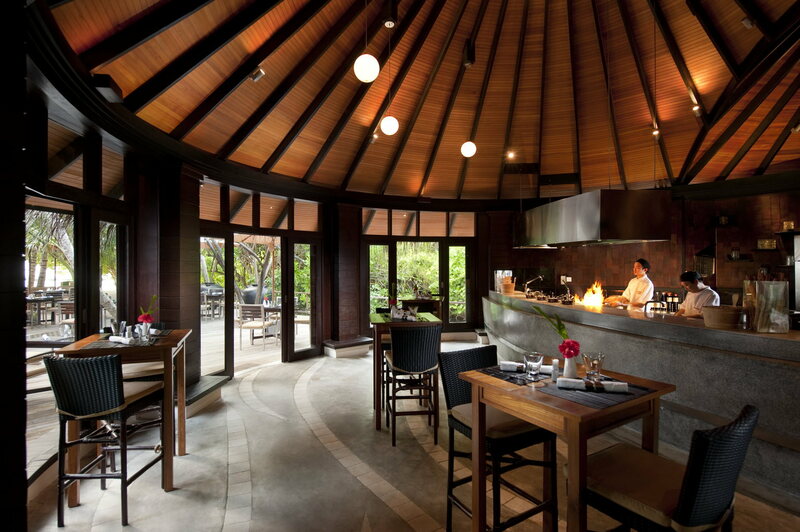 Featuring premium produce of the region, this over water restaurantserves fusion cuisine from across Asia. 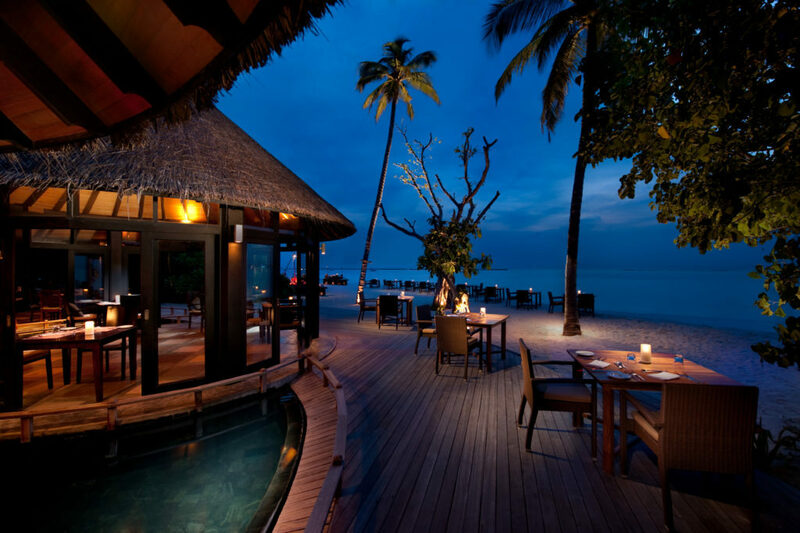 Have a romantic meal under themoonlit sky at night, and enjoy panoramic viewsof the Indian Ocean. Kindly note this outlet only admits Guests aged 16 years and above. A beachfront restaurant renowned for its steak and fresh seafood. On selected days a barbecue is hosted on the sand, offering a selection of seafood and meat, accompanied by fine wines. It is also home to our iconic ‘Lobster & Champagne’ barbecue event. Excellent food, wine and ambience are offered in the Mediterranean inspired venue located above the lagoon. Enjoy quality and authentic Asian cuisine set in a cozy ambience. Favourite light bites include dim sum, sushi, sashimi and noodles. This adult-only infinity pool and bar is a tranquil setting to unwind at any time of the day. Watch the sun set over the Indian Ocean with a cocktail or two and make the most of the daily happy hour. The facility is open to Guests aged 16 years and above. Situated on the beach with views of the lagoon and regular evening entertainment, this bar is an ideal place for a refreshing afternoon. Designed around the main pool and set among the tropical foliage, chilled drinks and light snacks are served to the whole family. The menu includes oven-baked pizzas, gourmet sandwiches and salads. Lovers of coffee can enjoy speciality coffees prepared by our experienced barista, while those with a sweet tooth can treat themselves to imported ice cream and cookies. 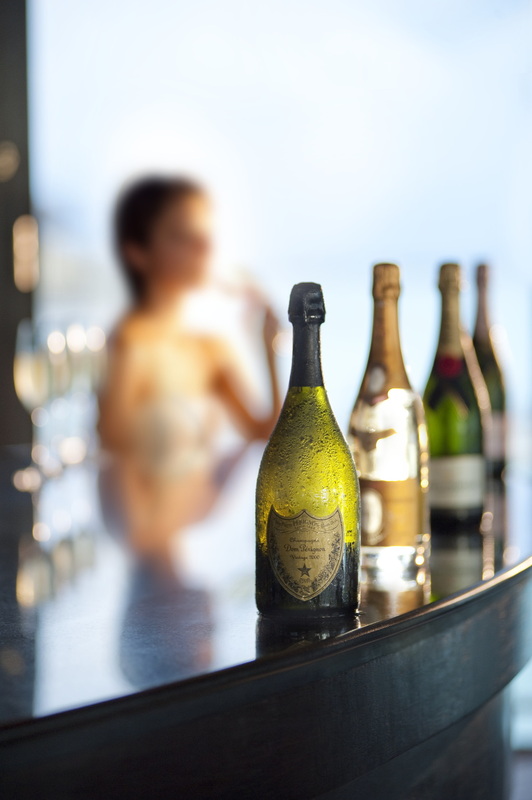 A trendy location for relaxing and savouring of Champagne and sparkling wine by the glass or bottle. 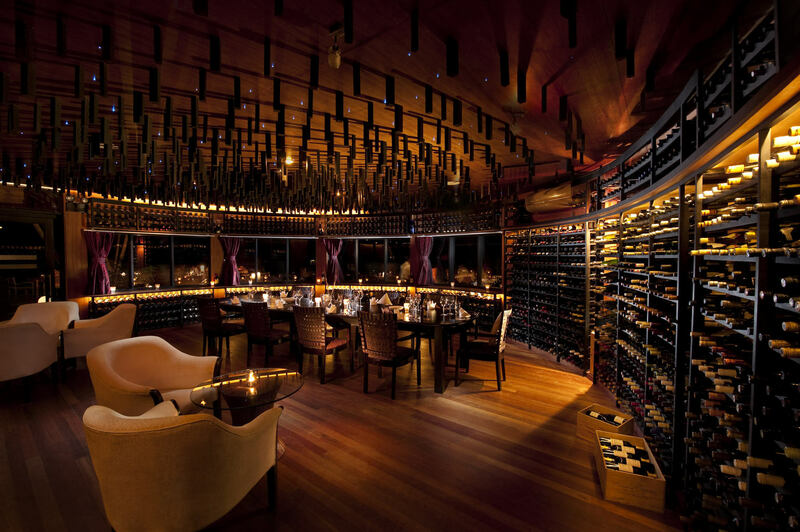 A place for Guests to enjoy intimate dinners with vintage and fine wines hosted by our resident sommelier. Enjoy the beautiful views of the ocean while you dine. 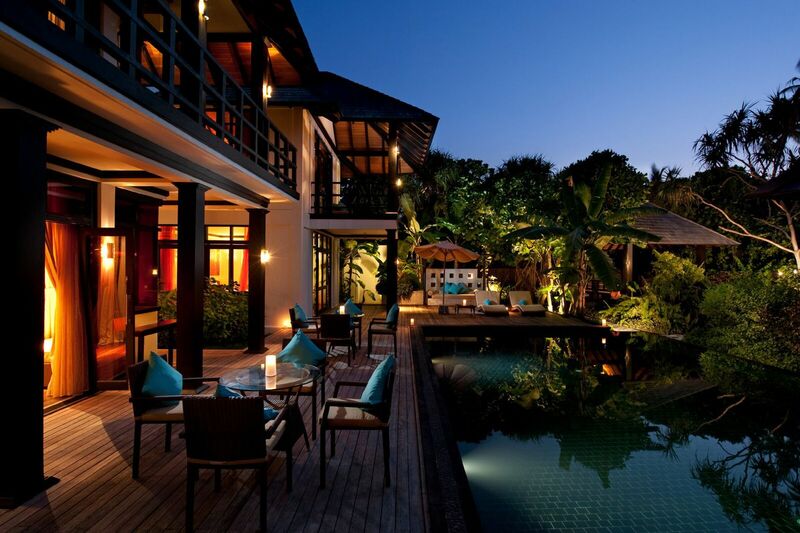 Enjoy international cuisine 24 hours, 7 days a week in the comfort of your own villa. Organise a special treat for a loved one or host a dinner party for friends and family, as the resort’s Chefs and Team Members prepare and serve fine dishes at a desired location on the beach. 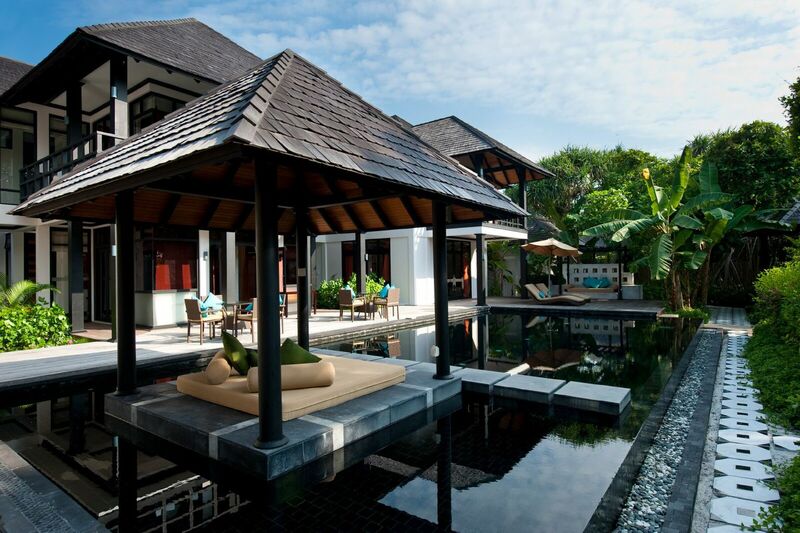 Located in the heart of the island, The Spa combines Ayurvedic principles with modern practices. It offers a holistic approach to health with 20 individual spa treatment rooms, hydrotherapy pools, steam rooms, saunas and dedicated relaxation areas. Yoga and meditation sessions are also available. Personal fitness and purification programmes can be tailor made for all Guests. Offers playgrounds, a dedicated pool and activities, tailored to the needs of our younger guests. Pay for Half Board and Receive Complimentary Upgrade to Full Board or Pay for Full Board and Receive Complimentary Upgrade to All Inclusive. Valid Market: All Markets except China, Japan & Korea. Applicable for all new bookings received from 10th April to 30th June 2019, cancellation and re-booking of the existing reservation will not be accepted. These offers are combinable with Contracted Child Offer “Children Stay & Eat for Free” and Honeymoon & Wedding Anniversary offer. 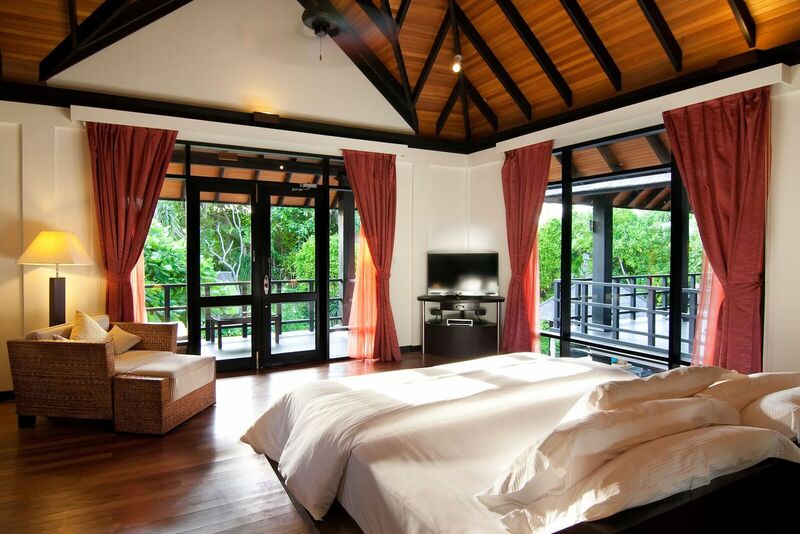 Applicable for bookings in all villa categories and for all occupants.